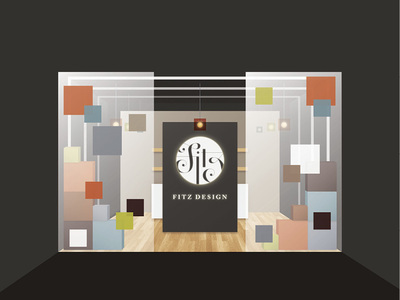 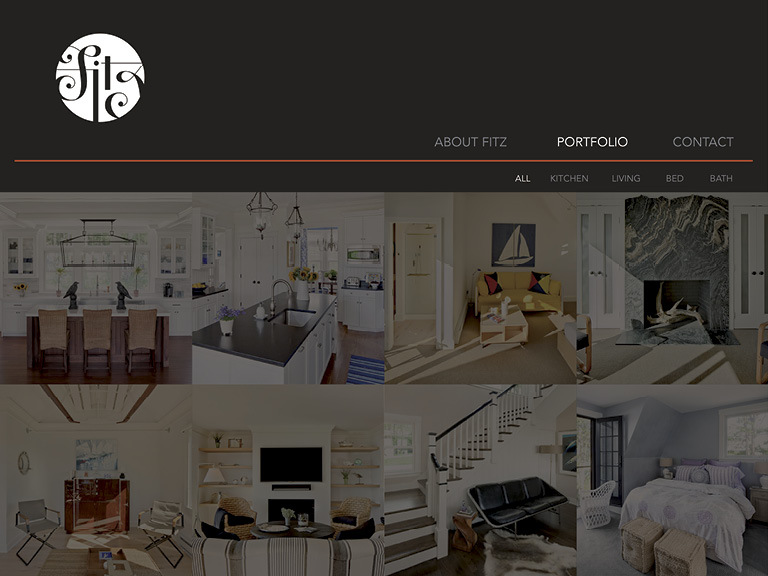 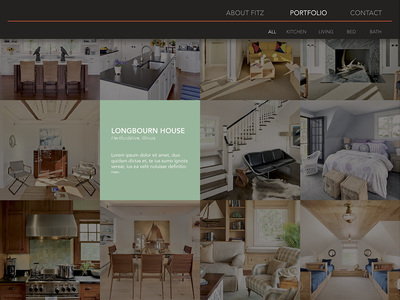 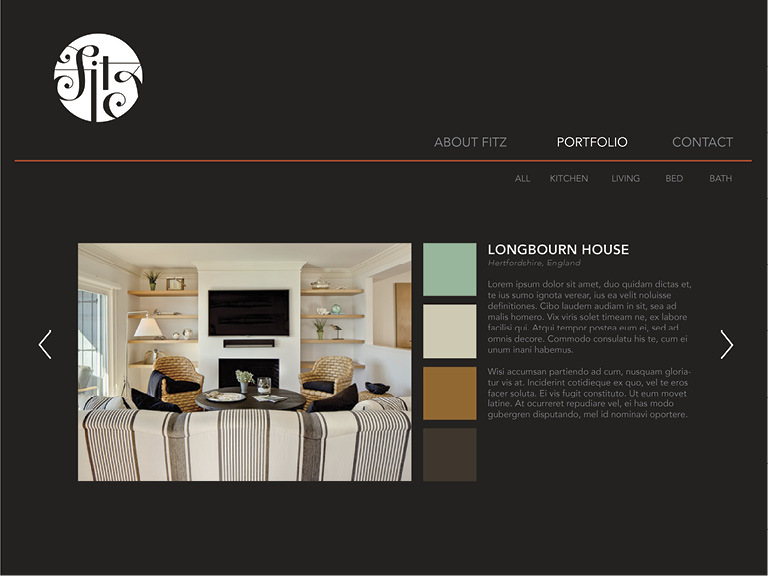 I created Fitz Interior Design as a company that values design as a larger, universal application. 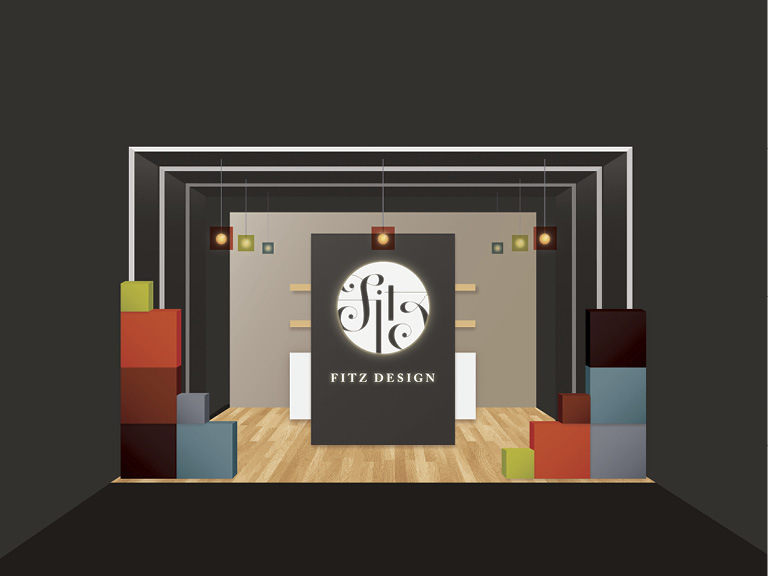 My goal was to develop a brand that is clean, graceful, and professional, but also exudes innovation and creativity. 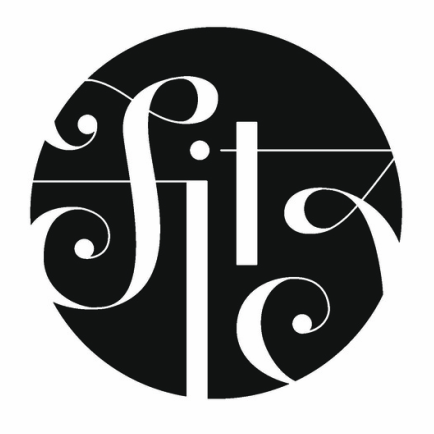 By handlettering the logo, I was allowed room to create a free-flowing form that stands alone as a mark, pattern, and icon. 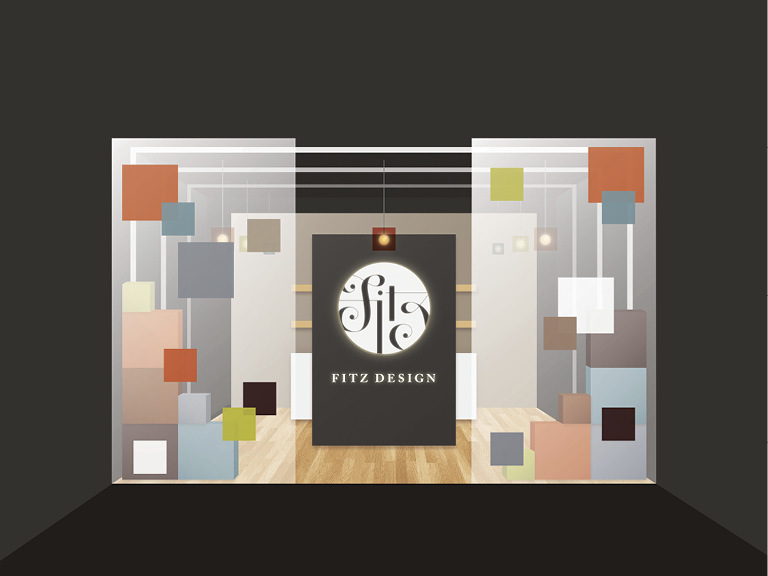 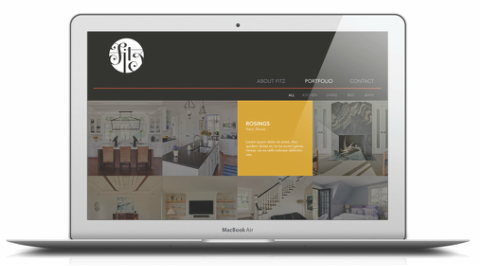 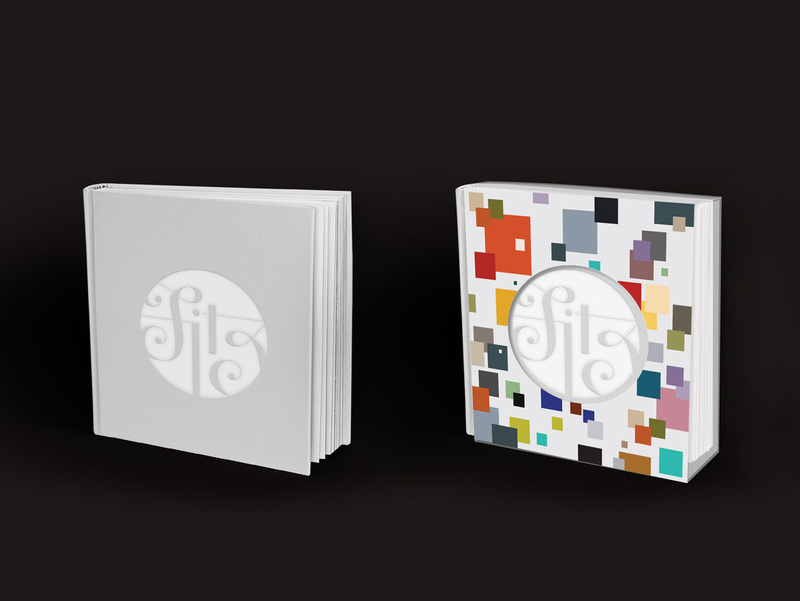 Fitz values design as a tool that can be utilized and conveyed through mediums other than their specialization in interior design. 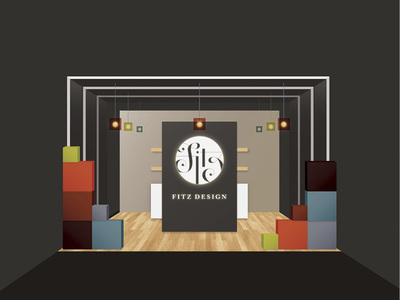 They are proud to be advocates of good and sound design in all aspects of their company. 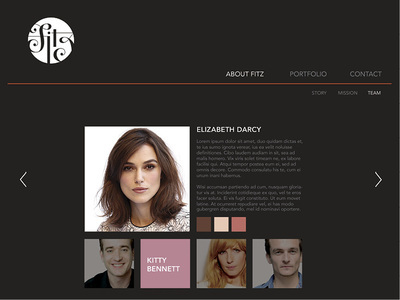 The website was designed primarily as a portfolio site. 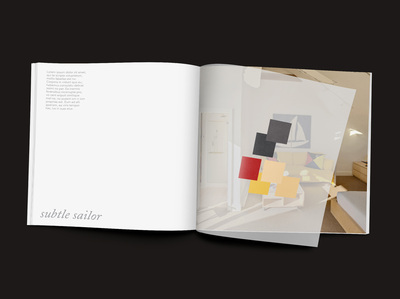 Continuing with the theme of swatches, the layout of the photographs follows a square grid that emphasizes the color choices and fundamental design that went into each space. The hover states reflect the specific environment of the rooms and when scrolled over, create a wonderful display of color swatches.